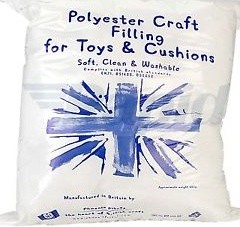 Polyester craft filling/stuffing for toys, cushions, crafts. Soft, clean & washable approximate weight 250g. Complies with British Standard EN71, BS1425, BS5852.